My top choice of the best wood lathe for the money is the Jet JWL-1440VSK Wood Lathe. This model may seem a bit on the expensive side. 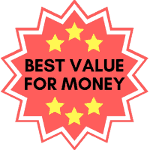 However, considering what you are getting, which is a great lathe, the price is reasonable. Compared to some other professional lathes, this lathe really is the best value for money. This lathe has great features, and a top build quality. You can check the latest price here on Amazon here. I have spent hours reviewing and comparing different lathe models to find the best, so you don’t have to. If you find this article helpful, please consider sharing it with others. What is a Wood Lathe? 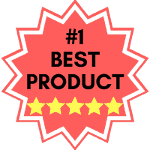 Below you will find seven reviews of products which span across a large range of uses. I have reviewed and compared some high quality, heavy duty choices, which are more expensive, with a few cheaper, lower duty types also. Be sure to evaluate your needs and budget and purchase according to them. I put the of review this particular product first because without a doubt it is one of the most popular and highest quality models. Of course, this means it is also one of the bit pricier choices on the market but still under $2000. But you do get a lot for what you pay for. This is a very in-demand product, whether for recreational use, or for professional use. The price may seem a lot, but this is actually considerably less than some of the other bigger lathes I reviewed. So what makes this best value for the money? Despite the reduced price tag over other top models it is still feature packed. The product has a sliding headstock, which for your total comfort actually pivots around a total 360 degrees. Within that, there are 7 positions for locking, at 0, 30, 60, 90, 120, 180, and 270 degrees. This works in tandem with the overall aim of the product, to give comfort to the user, and avoids any stress or strains when using the lathe for a long period of time. The speed can also be controlled and varied, between 400 to 3000 RPM. Overall, this allows the user to dedicate the right amount of time and effort to the project, and a lot more control as a result. The tailstock quill locking mechanism has been improved following feedback, and has an anti-rotation mechanism with key for extra control. Overall, this is a very comfortable and easy to use lathe, which really reflects in the price. The positive locking tool rest has a clamping function, which has also been redesigned a few times, after feedback from users. The display also shows the RMP very clearly, so you can exercise total control. As a final function, the product has extension mounts, which can be used or removed, and these lock into three different positions. This allows users to work with larger pieces of wood. It really depends on whether you are planning to use the lathe enough to warrant the price; if you are a professional user then go for it, because this lathe is optimum quality, and if you are a recreational user and you’re planning on working with the tool a lot, then again, it is worth the investment. For beginners and those who are recreational users? This particular product may be a little too all singing, all dancing for that particular skill set. Checkout some of the features of the Jet 1440 in this video. Check latest prices on Amazon. If you are looking to invest in a very high quality lathe, for professional use, then this is a fantastic option to go or. What is the downside of the Powermatic 4224B 179224K? Again, I am going to talk about price. This particular lathe comes in at around an eye watering price of over $7000. That does sound a lot, and it is a lot, but it is definitely an investment for those who use a lathe on a daily basis, for work or for extreme hobby use. If you want to invest and you’re not planning on re-purchasing in a hurry, then the price is probably worthwhile. So, what makes this particular lathe worth the extra cost? The huge amount of features and the high quality. This is a very sturdy, heavy lathe, so it is designed to stay in one place, and isn’t going to move around or vibrate. The lathe is ideal for a large workshop, and is designed to be installed into a corner or onto a freestanding position, without the need to move it at all – at 960lb in weight, movement should be minimal! As with our last option, this particular lathe also has a sliding headstock, and a variable speed which is controlled electronically. The digital RPM display helps you see the speed at which you are operating, and it can be controlled very accurately, so you have total and utter control over your movements and work. This lathe is really ideal for any kind of wood work, and is great for the more intricate kinds of patterns that need to be created. The spindle lock as a built in indexing feature, which allows the user to drill patterns, flutes, and other features which need total concentration and spacing. Another plus point is the vacuum system which allows a fast way to chuck bowl blanks, and to enable you to see everything you are doing clearly, there are two highly powered lamps, which counteract any problems with lighting in your work space. Overall, this is the tip of the iceberg in terms of the major features of this particular wood lathe, and that should tell you that in terms of usage, this is for heavy users only. Professionals and heavy users should definitely look into investing in a high quality lathe such as this one. But those who are learning or use occasionally, will be wasting a large amount of cash for the time being. I have just reviewed a very expensive and high quality Powermatic model, and I mentioned that it is really only for experienced users and professionals, but you will have noticed that Powermatic is a great brand option. Now, if you are someone who is learning, someone who is looking for a slightly cheaper Powermatic model, then this particular choice is a great one. This lathe offers all the qualities of the Powermatic top brand, but for a lesser price tag. The main plus point if the digital RPM readout, because this is clear for all users and gives total control over usage. There is also a 20” swing on this product, and it is a fast and strong option, powered by 220 volts, 2 horsepower motor, which offers variable speeds. Again, this is a heavy lathe as it is made of heavy duty iron, and weighs 682lb. Whilst this is much lighter than our last Powermatic choice, it is still very heavy, and therefore is designed to be static, and not mobile. Of course, the weight and sturdiness means it is much easier and more stable to use. There are several accessories included in the pack, which gives you more boost for your price, and that includes a safety guard, which should be used at all times, a tool resting plate, a face plate, wrench, spindle lock, and knockout rod. The benefits of this particular option are very similar to the last Powermatic model we reviewed (above), but on a slightly smaller scale. The lathe isn’t as large or heavy, but it still packs a punch, which is what you would expect for what is still a very high price tag. Check the latest price of the Powermatic 1352001 Model 3520B on Amazon. So far I have reviewed the large, static wood lathes, which are more expensive, more heavy duty, and therefore designed for professional, heavy use. I did mention in our ‘about’ guide that there are several other types of lathe, and that one of them is a smaller, benchtop option. This Jet JWL model is one of those benchtop lathes, and is ideal for anyone who wants quality, but flexibility also. This lathe has a huge difference to the larger price tags we’ve been dealing with so far. This is a good starter option for beginners, and those who are just getting started with wood work. Of course, a benchtop lathe such as this does not give you the same sturdiness and range of functions as a larger option, but it does serve a very good purpose. The weight of this product is just 77lb, so it can be moved around and taken from place to place. The lathe is also smaller, so it can be put away when not in use. In terms of speed, this product has six different pre-sets, including 500, 840, 1240, 1800, 630, and 3975, which covers the needs of a beginner or light user. There is also a position indexing feature, with 24 different positions covered. The belts are easy to reach, with a quality tension system, which has been improved since the last model, and the beds are wider, to help with movement of wood, and better stability throughout the turning process. This lathe is much more suited to a beginner, but is a low cost, quality option to start with. Check the latest price for the Jet JWL 1015 on Amazon. For a mid-priced wood lathe which has many useful features, this particular option is a great one to go for. Price-wise, this option is somewhere in the middle, making it a more affordable quality choice, when compared to some of the other bigger priced lathes on our list. Another big brand name, this particular lathe has a digital readout function, so you can tailor-make your wood turning, by inputting a specific speed. The ability to work at your own speed, rather than using a pre-set, is a very useful for experienced or heavy duty users. The range goes from 150 RPM to 4100 RM, and this is ideal for more precise shaping, at a lower speed. What is so special about the PSI Woodworking TCLC10VS Commander 10” Variable Speed Midi Lathe? The PSI Woodworking TCLC10VS Commander 10” Variable Speed Midi Lathe has SBC microprocessor technology, which basically means you have much more control over your turning an shaping, and there are 24 indexing positions, which come with a spindle locking mechanisms. Another benefit of this product is that it is quite mobile, with carrying handles and a long cable for reaching further away power points. The weight is still quite heavy, at 89.5lb, but the size is much more amenable to movement, compared to some of the other larger, static lathes we have reviewed so far. There is also a section for storing your tools, such as chisels and other equipment that you need to use during your wood turning endeavours. The base also has a section for wood up to a 43” size. For a user who wants high quality at a lower price tag, this particular PSI option is a good one to go for, whilst also being much more portable and amenable to movement than some of the other choices on my review list. Check the latest price of the PSI Woodworking TCLC10VS Commander on Amazon. If you’re looking for a lower priced lathe, with high performance and ergonomic design, this Nova choice is a good option. There are several features included in its package, which make it ideal for professionals and home users. The product also weighs in at around 81lb, although its dimensions make it much more amenable to static use, i.e. not moving it around from place to place. This lathe has a very powerful motor, with variable speeds and 3-4 horsepower. Speeds can be dictated by the user and range from 250 RMP to 4000 RPM. The slower speed is ideal for more intricate shaping work, and extra control with larger pieces of wood, whereas the faster speeds are good for more basic shaping. There is also a 12” swing capacity over the bed section, which gives you extra flexibility, and can be expanded up to 41.5″ by purchasing the extension accessory from the Nova store. Why buy the Nova 46300 Comet II? This is a very flexible lathe with a low price. As you can see from that description, and whilst it lacks the all singing, all dancing major number of features, there are many useful extras which a user of various ability levels would find useful. My final model is another beginner option, and one which comes with a much lower price tag as a result. This lathe weighs just 78lb, so whilst it is sturdy enough for intricate work and learning, it is light enough to move around if you want to do so. The speed is adjustable, and isn’t pre-set, so you can go from 500 RPM to 2500 RPM according to your needs, skill level, and the type of work you are doing. What important features does the WEN 3427 have? A major feature of the WEN 3427 is the ability to rotate the piece of word you are working with in any direction, simply by pushing a button. You can use any wood which is up to 15 x 12”, so you have a large range of flexibility. If you want to increase the capacity then you can do so by purchasing an extension to the table section, which can go up to 12 x 39”, but this is something you should assess after using the original section first. The lathe also comes with a digital display to show you the speed you are currently working at, a high quality motor, and a tool rest, to keep all your equipment within easy reach. Basically, this is a great choice for beginners who are starting off in the wood work world, and want to see where it can take them. When it comes to buying anything DIY-related, it pays to do your research ahead of time, in order to find the best product for your needs. You are going to be spending quite a portion of cash on this item, and that means you need to ensure that not only does it meet your requirements, it is going to do exactly what you need it to do, but also that it is going to last the test of time, and isn’t going to fail you on the first or second required task. A wood lathe is an investment, and with the large range of choices on the market, you could be forgiven for being a little confused in terms of which one to opt for. We are going to review two of the best products around, to give you an idea of what you need to be looking for. 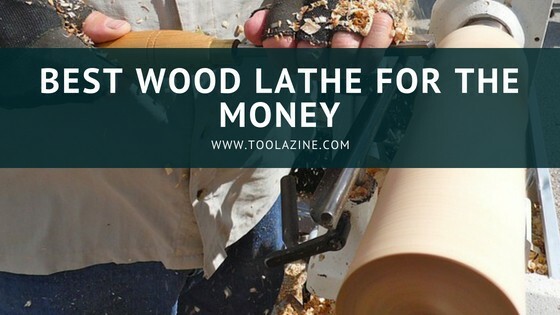 Before we do that however, we need to really examine what a wood lathe is, what to look for when you are buying one, and how to make sure that you find the best deal for your cash. Whether you are a DIY expert, professional, novice, or someone who is somewhere in the middle, knowing what to look for is key. First things first however, what exactly is a wood lathe? A wood lathe is a tool which is used to shape wood, to give it its most simple of explanations. The lathe rotates the piece of wood against a particular medium, e.g. sandpaper, a different type of tool for cutting wood, or a grinder. The rotation is really controlled not only by the speed of the machine, but also by the user, because the fact you are holding the wood means that you can exercise control and versatility over your cutting action. This basically means that the final result is much more bespoke, and you can use a wood lathe to create all manner of different piece of furniture and other items. As with any type of tool, there are different kinds of wood lathe, and these all work at different speeds, they are different sizes, weights, heights, and they are all best suited to different types of wood. Again, this means that you need to check carefully into any product you are considering buying, to ensure you aren’t disappointed in your purchase. Let’s look at the different types of wood lathe on the market, before we get into the nitty gritty of what to look for in your purchase. As the name would suggest, the standard type of lathe is the most common you will find on the market, and as a result it is quite useful for many different types of uses. Having said that, the other two options are also useful for other types of jobs. Let’s explore. As we mentioned, this is the most commonly found type of wood lathe on the market, and this also means that these come in a huge range of different sizes, speeds, and also in terms of prices. This is a good sign, as it means you can shop around and find money saving options. A standard wood lathe is best used for rotating items which are going to be used around the house, e.g. a chair leg, or making table parts, etc. If you are going to be making items which are decorative, this is also a good subcategory of lathe to go for. A standard wood lathe is usually quite heavy, because it is made of cast iron, and that is the main downside – it cannot be moved around too easily. There is an adjustable, horizontal rail which fits into the lathe and allows you a little guidance over turning the wood. This means that beginners will find this type of lathe easiest to use. In term of floor space or table space however, these are often the largest. These type of lathes are smaller, as the name would suggest, more lightweight, and often fit on a table top. If you are wanting to rotate and shape smaller pieces of wood on a regular basis, e.g. you are making craft items for example, then this type of lathe could be the best option for you. Whilst these are quite readily available, they are obviously not as easy to find as the standard type, and they can be a little more expensive, due to the bespoke nature of the product, and also because they are more lightweight and smaller overall. A mini wood lathe can also be moved around much easier than a standard option, because of the overall size and weight. This type of lathe is similar to a standard option, but it doesn’t have the guidance rail that the other type does. For this reason, a wider sized lathe is much better suited to creating items which are, as the name suggests, wider. The lack of rail means that the size of the wood can be accommodated, without making the overall product (the lathe) far too big to move around. Again, this type of lathe is quite heavy and can be large, taking up a fair amount of floor space/table space. This type of lathe is often the hardest to find, and can be the most expensive. The types of products you can make on this lathe include dishes and plates, so it is a good choice for anyone who is wanting to create household items such as these on a regular basis. Smaller items can be shaped on a wider lathe, but the lack of a guiding rail could make the process harder for novices. It’s important to identify the best type of wood lathe for your needs, including what you are actually going to be creating the most. This means that you can ensure that you have the right machinery for the job, without having to repurchase, or even purchase costly extras. Of course, there are many other subcategories of things to look for when buying a wood lathe, aside from the actual type. Our next section is going to give you all the information you need on what hints and tips you should be checking out before parting with any cash. If you are interested in fine woodworking you may want to read this review about the best wood lathe for fine woodworking. Let’s briefly explore these one by one. If you are a beginner, then you don’t really need a super-powerful wood lathe. This is going to be harder for you to control at the start, and doesn’t give you the control you are going to need to learn. If you are an experienced DIY-er however, then a powerful wood lathe is going to allow you to create much more intricate and complex projects. A very powerful lathe is best suited to those who are working in the DIY industry, as opposed to those who are simply using the machine for hobby reasons. Basically, to break it down into simple terms, the more powerful the wood lathe, the more difficult projects you can create and finish. The less powerful wood lathes are for more simple, mainstream tasks. The size of the motor doesn’t have much to do with the power per se, but instead it gives you an idea of how fast the wood lathe is going to rotate the piece of wood. The bigger the motor, the faster it will go, and that means you will have your completed project much faster. Again, a novice is best suited to a smaller motor, to give more control over rotation at the start. You can always build up in not only power, but also motor type as you become more experienced. The quoted speed of a wood lathe ties in quite a lot with the motor type, but it does deserve a subcategory of its own, as an important facet in deciding which wood lathe to go for. The higher the speed of a product, the faster it will rotate and cut your wood. Most lathes have adjustable speeds, which means you can create bespoke cutting processes, depending on what type of wooden structure you’re trying to make. As a starter, again you don’t need a super-fast wood lathe. As a general rule, if you are a total beginner and learning how to cut wood on a lathe, or you are an intermediate who is experimenting, then don’t go over the 2000rpm speed limit when looking into which lathe to buy. More experienced DIY-ers, or industrial users, may be find a faster, more adjustable lathe suits their more complex needs better. Of course, with any large item you purchase, be it a household item or a DIY item, you need to know about the size and weight, as well as how sturdy and durable it is. Much of this can be found from reviews, because a manufacturer is not going to tell you how durable the machine is, but in terms of size and weight, this can often be found simply by checking out specifications. If you aren’t planning on moving you wood lathe around, and you have plentiful space, then this isn’t such a concern for you, but if you are looking for a more portable option, then a lightweight choice should be on your agenda. Whilst standard types of wood lathes are generally larger and heavier than other types, these do vary wildly on the market, so it’s a case of shopping around, according to your needs. The lightweight, small options will often be the more expensive types. In terms of sturdiness, this is something you should check reviews on, because if you are learning how to use a lathe especially, then you don’t want the machine to be moving around easily. For safe turning and cutting, a sturdy, heavier machine is your best bet. Again, reviews are the way forward here, but you do not need a wood lathe which has too many programs and added extras if you are learning. More experienced users may find some benefit from this, but in terms of the basics of a wood lathe, the key features to look for include the guiding rail (standard lathes), and reviews on how easy and sturdy the machine is when in use. A wider type of lathe, which doesn’t have the horizontal rail, is going to be harder to use than a standard type, because the guide is a very useful extra. Different lathes are best suited to different types of wood, and this is something else that you need to pay attention to. If you have a set specification in mind, e.g. you know what you are going to be using it for on a regular basis, then your decision is an easier one to make; if on the other hand your needs are more varied, you need to go for a more across the board type of product. Some lathes are simply better suited to certain types of wood, and this information will either be available to you in the product specification, or in the reviews from previous users. Obviously, cost is a factor you need to think about, and there’s no point in paying over your budget. Shopping around is the best course of action here, and online is often where you will find the best savings and discounts. In terms of which type of lathe is the cheapest overall, this is usually the standard type. If you are buying a lathe and have a set price range, you may want to read my review of the best lathes under $300, $500, $1000, $1500 & $2000 dollars. We are talking about noise and vibration levels here, and this does tie in quite closely with ease of use. You don’t need to be using a wood lathe which is excessively loud, or one which does give off a lot of vibration when in use. Not only is this going to be uncomfortable for you to use, without discomfort or distress to yourself, but also, if you are using it in a home, you could cause problems with your neighbors! Check out reviews to find out about these two issues before you make a decision on your shortlist of purchases. These are the main key issues you need to look into when deciding which wood lathe to opt for. Amid the countless products on the market you will find that your choice may be a difficult one to whittle down in the beginning, but it is important to make the right decision, based on your needs. To help you in that regard, we are going to review some of the best on the market at the moment. Based on what are considered to be the most important features and performance of a wood lathe I have concluded that the Jet JWL-1440VSK may not be the very best but is the best wood lathe for the money that you are paying for it. If the Jet JWL-1440VSK is still more than you are willing to pay for a quality wood lathe, then I suggest that you buy our best budget pick the WEN 3427 which is still a good lathe but a much cheaper price. If you want the very best I suggest that you buy the Powermatic 4224B 179224K but be prepared to pay a lot more money for it. It is after all a professional machine with a full range of features.